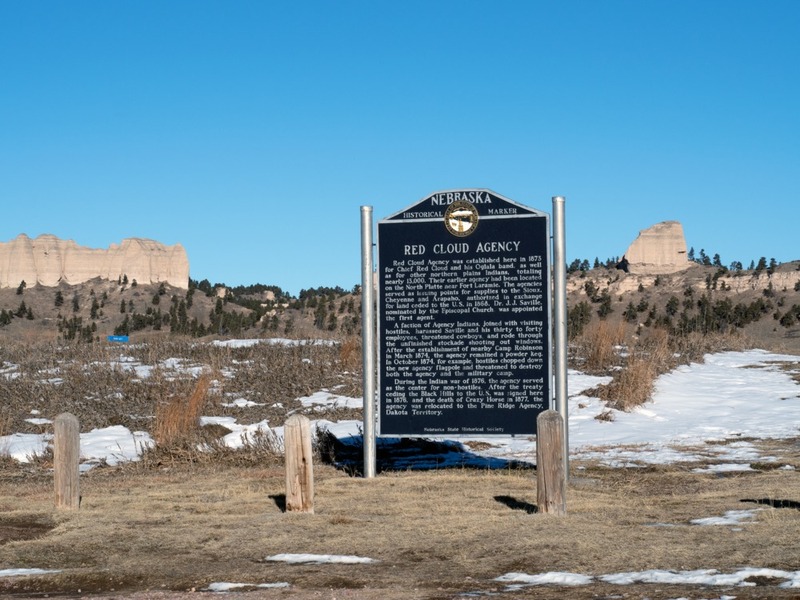 Red Cloud Agency was established here in 1873 for Chief Red Cloud and his Ogalala band, as well as for other northern plains Indians, totaling nearly 13,000. Their earlier agency had been located on the North Platte near Fort Laramie. The agencies served as issuing points for supplies to the Sioux, Cheyenne and Arapaho, authorized in exchange for land ceded to the U.S. in 1868. Dr. J. J. Saville, nominated by the Episcopal Church, was appointed the first agent. A faction of Agency Indians, joined with visiting hostiles, harassed Saville and his thirty to forty employees, threatened cowboys, and rode through the unfinished stockade shooting out windows. After the establishment of nearby Camp Robinson in March 1874, the agency remained a powder keg. In October 1874, for example, hostiles chopped down the new agency flagpole and threatened to destroy both the agency and the military camp. During the Indian war of 1876, the agency served as the center for non-hostiles. After the treaty ceding the Black Hills to the U.S. was signed here in 1876, and the death of Crazy Horse in 1877, the agency was relocated to the Pine Ridge Agency, Dakota Territory. 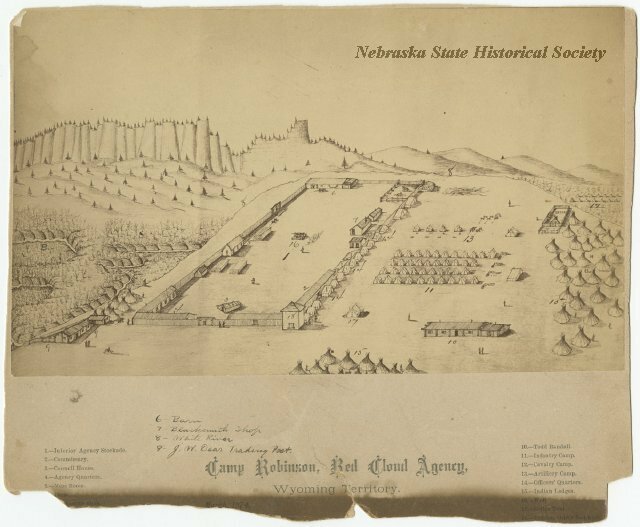 “Red Cloud Agency,” Explore Nebraska History, accessed April 18, 2019, https://mynehistory.com/items/show/126.